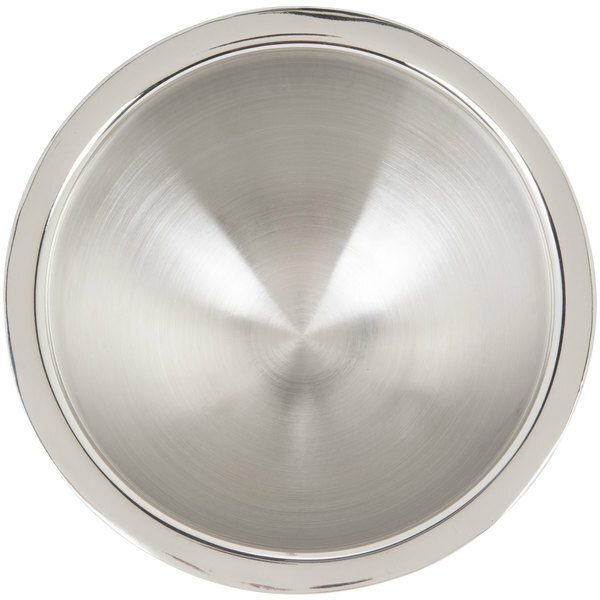 Keep cold foods cold and looking fresh in this all stainless steel American Metalcraft AB6 23 oz. 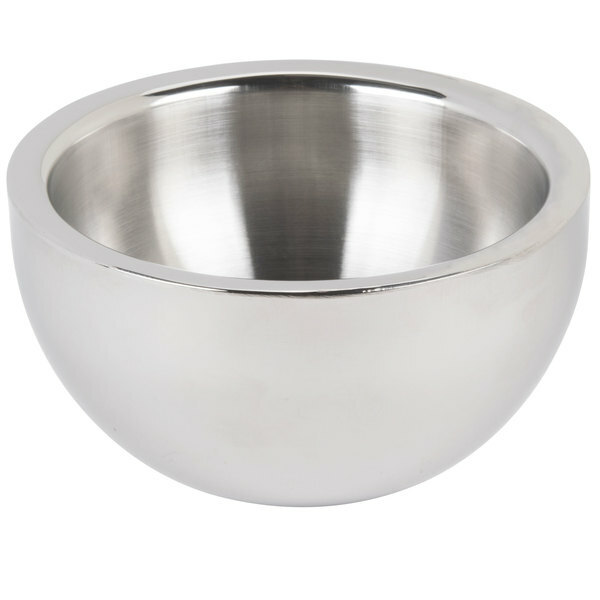 double wall angled bowl! It's ideal for restaurants, buffets, or catered events with a double wall construction that helps to retain temperatures while reducing sweating. Create unique presentations with the 23 oz. 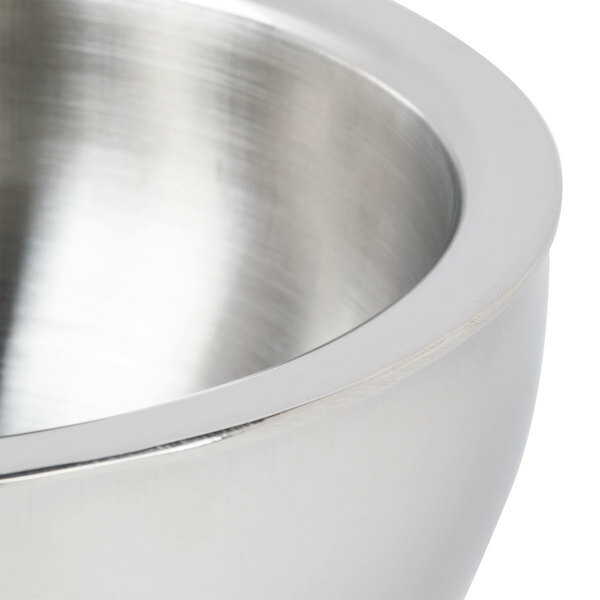 double wall angled insulated bowl that looks great from any angle! 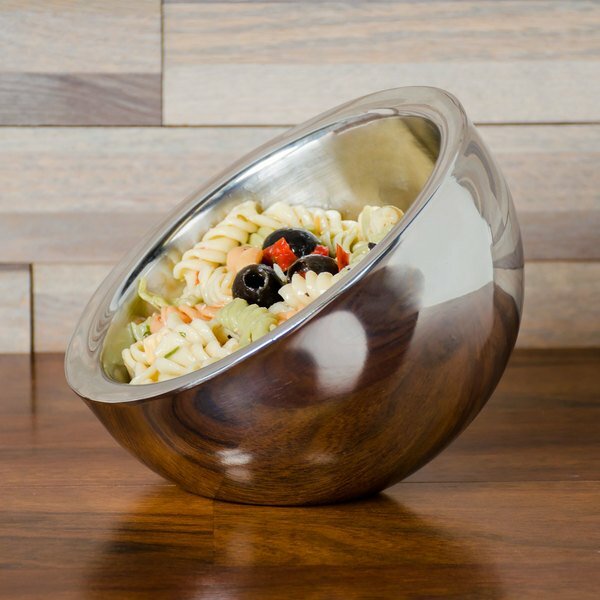 Each bowl is made of durable 18/8 stainless steel and features an innovative double wall construction for better insulation and cold retention. 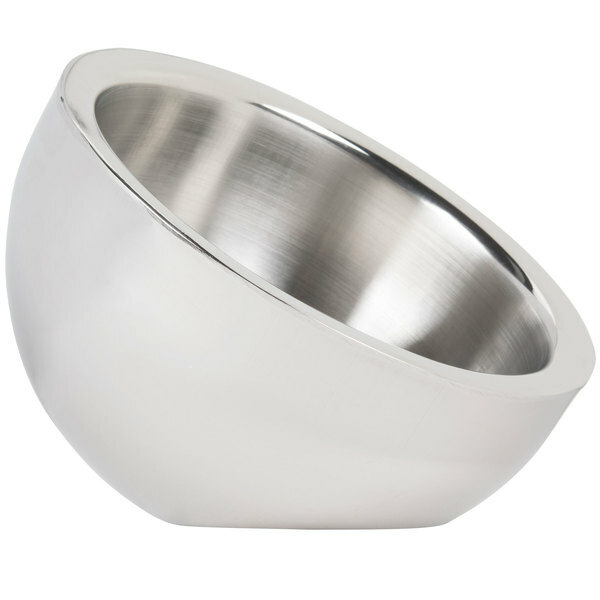 The bottom of the bowl features two indentations that allow the bowl to be tilted to create an all new angled look. 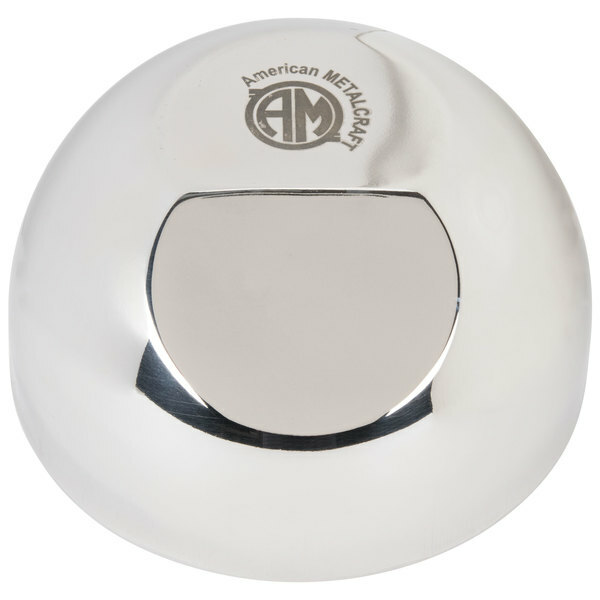 The American Metalcraft brand is great. 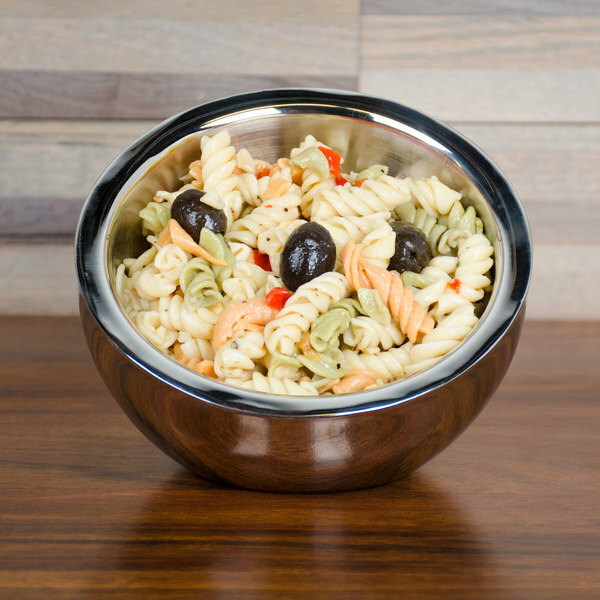 These Double Wall Angled Insulated Serving Bowls our perfect. we ordered them in Numerous sizes for the buffet line and they keep cold stuff cold and hot stuff hot four about 4 hours.